I stopped by the trendy South Yarra / Prahran area the other day and ate lunch at this cute-as-a-pickle American Hot Dog Diner called Massive Wieners. I happened to be with my boyfriend JJ and lucky for us all of their hot dogs were gluten free with option of gluten free buns! Poor JJ has been really home-sick for America of late, especially since it’s Thanksgiving, so this was a real boost in moral for my American love. 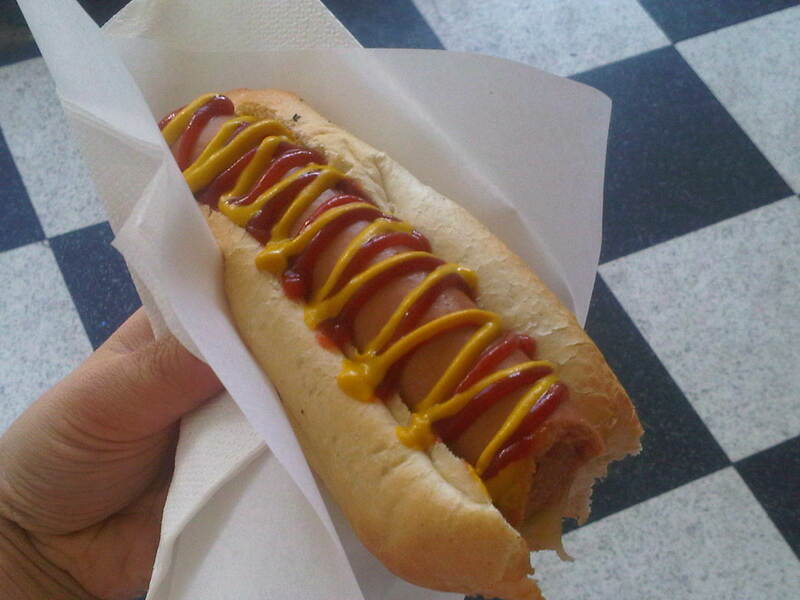 Not only were the hot dogs American sizes for American prices (cheap-as-chips! ), but the shop has a trendy retro theme about it – very minimalist. They have old-school lamps, waiters who wear bow-ties with rolled up sleeves, as well as a Wall of Fame to match their Wall of Shame! Wall of Fame includes all customers who have scoffed 12-inches of hot dog goodness with their filling buns – all within 5 MINUTES! There was a Polaroid of a guy who did it in LESS THAN 3 minutes. WHAT?! 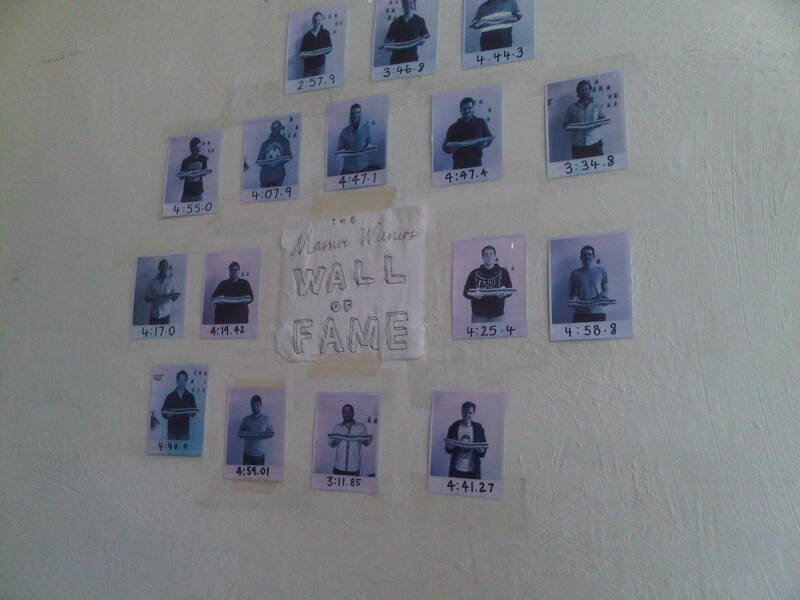 That’s what the Wall of Fame says (refer to photo below). 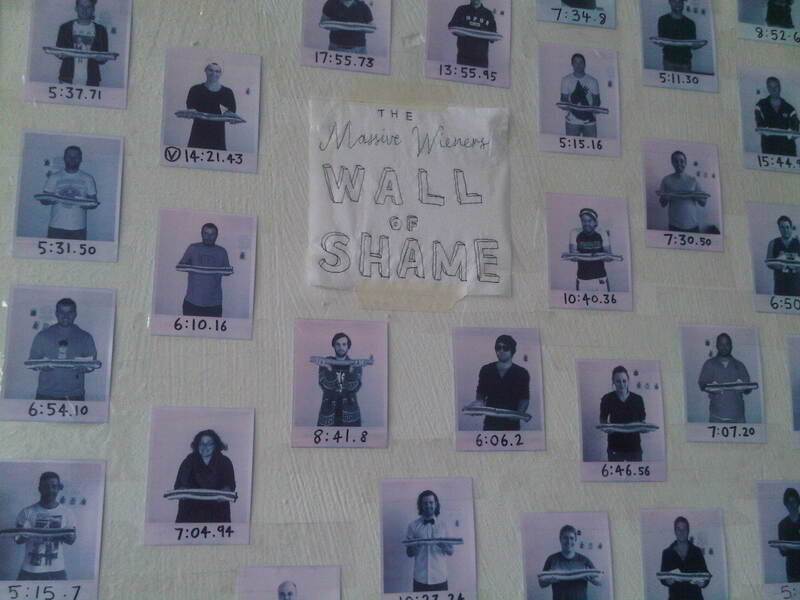 I didn’t dare take the challenge since I couldn’t stand the idea of my pretty face on the Wall of Shame. I like my mug shots on my blog thank you very much! 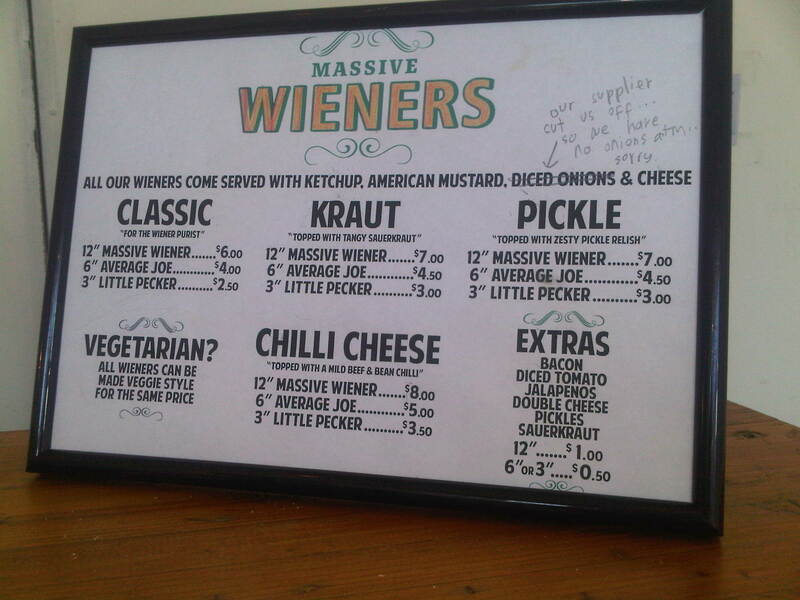 Massive Wieners, 113 Greville St, Prahran, VIC 3181. Ph: 0402 751 207. 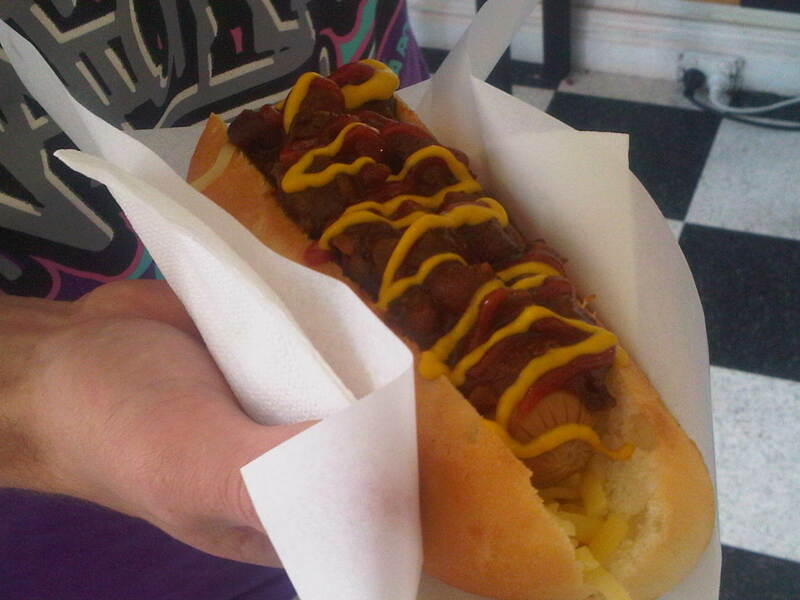 UPDATE – Massive Wieners have since moved to 226 Chapel St, Prahran, VIC 3181. I didn’t wait to take a bite out of my “Classic” style hot dog. 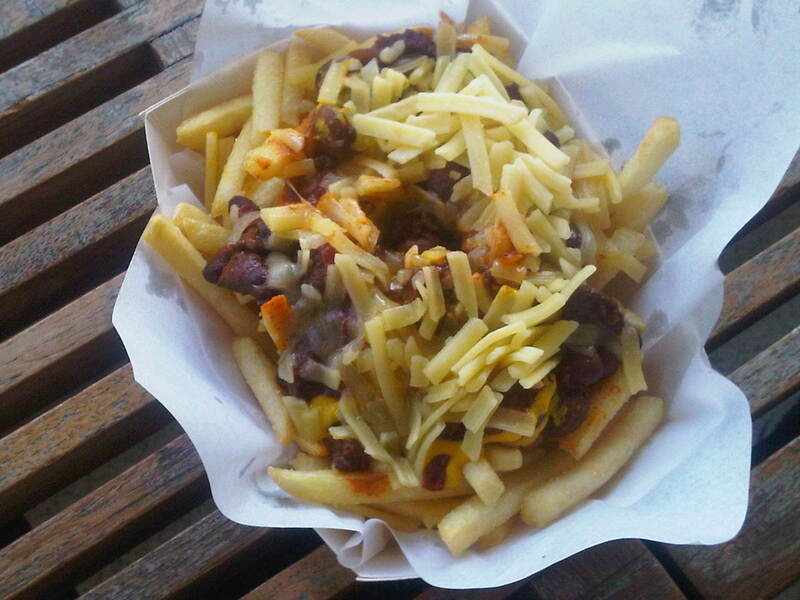 JJ’s Gluten Free Chilli Dog! This was “Average” size. Hahaha! 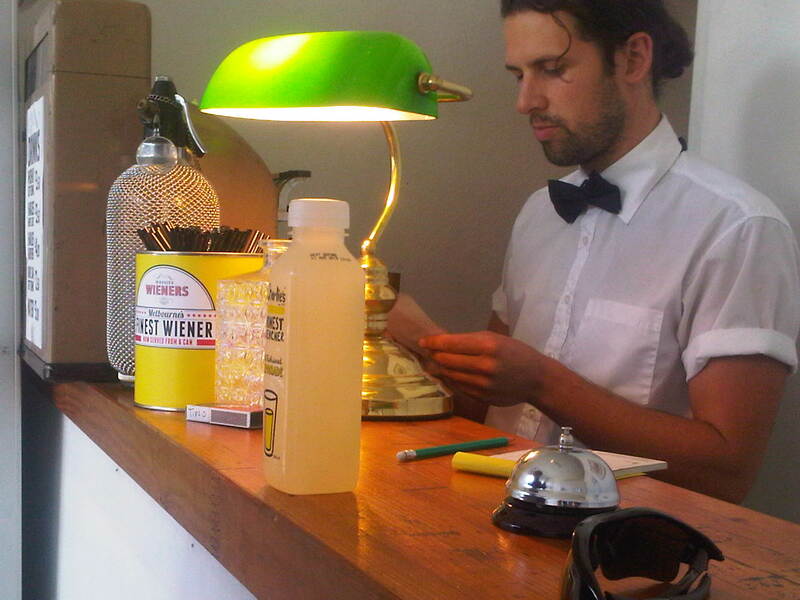 Cute waiters in bow-ties = good service! There’s a guy in the left-hand-corner who did it in less than 3 mins!! !